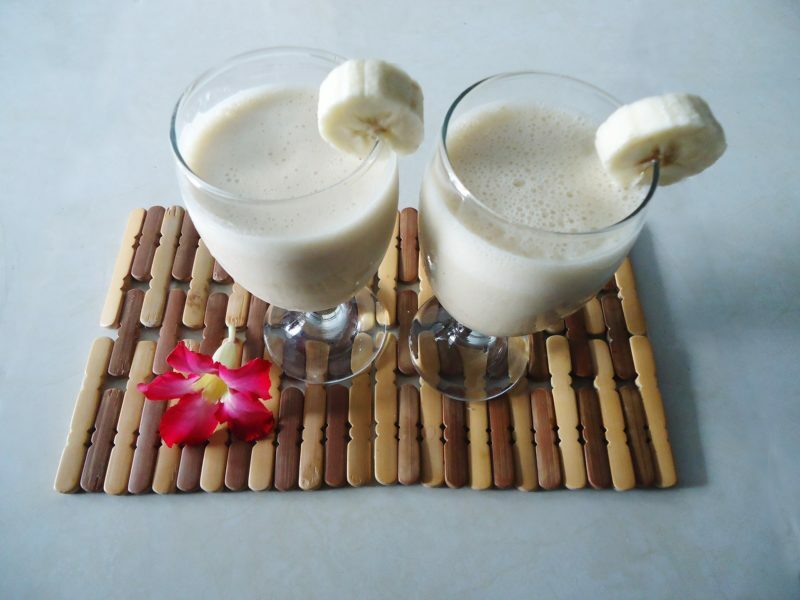 Even if you barely have a moment to spare in the mornings, you can still have a delicious and healthy breakfast by making yourself a banana smoothie. You can whip up this smoothie in a hurry and you can drink it on the go if you need to. We’ve made this just with bananas but you could add mango, strawberries or any manner of delicious fruit. You could also try adding oats to provide an even more filling breakfast. Let us know in the comments section below if you adapt the recipe. Here is a short video just to show how easy it is. Place all of the ingredients, except for the ice cubes, into a blender. Blend on high until smooth. Add the ice cubes and blend again until thick and creamy.